Unless you are one of our homies who lives close to the equator, these next few winter months are a trying time to be a skateboarder. Old Man Winter comes a-knockin’ and brings with him a full guest list of situations and scenarios that are not hospitable for us to get out and Push More. Although the odds are stacked against us for a couple months, those of us who are 100% Skateboarders are driven by an unexplainable desire to brave the elements to get in our thrills on our wooden wheelie boards. As is with all things, there are tricks and tips that can make these cold weather sessions more tolerable and therefore they can last longer getting you the most stoke possible from your investment. We reached out to some of our tried and true Push More Reps to hear some of the ways they have come up with over their years to keep rolling through these trying times. “If it’s cold and windy, you should try to find a local parking garage. Racing down one is a ton of fun, and the flat parts make it perfect for nailing those flatland tricks you’ve been working on for a while or get a dope dancing line going, Some parking garages have security and they might kick you out, don’t be afraid to talk them and try to get a compromise going, say you will only skate a certain deck and if you show them you will clean your spot after skating, they will generally say it’s gucci. If they however say you have to bounce, then just bounce. The salt of the earth dealing with the salt on the road. Kevin won’t let a little “winterization” keep him from slipping slideways. Mike may live out West now, but he grew up on the classic East Coast winters. This past weekend, our Push More Rider Rep Salvador De la Torre went full send on a radical event which brought out riders from all over his local area of Guadalajara, Mexico. His race, Huaxtla Dh 2017 was held on a user friendly incline that allowed each participant to push themselves but also catered to progression for riders of all skill levels. Running heats for Girls, Amateurs, as well as Masters, this truly was a #CommunityCommitted event with an end goal simply of providing a place for everyone to rally together and have fun wiggling down a hill. This is exactly the reason we started the Bustin Push More Rep Program which was and is to help support fellow skaters as they support grass roots movements like this in their neck of the woods. Skating is much more than just an art style, its a life style composed of real life community members that collaborate to create one of the most unique atmospheres on earth when they assemble in numbers. Salvador is one of the latest Community Contributors but we are amped to see how our growing number of Push More Reps are able to impact skateboarding as a whole in the upcoming future. To join the ranks and begin earning not just Bolts for simply Pushing More but also to start working toward building a bigger and better skateboarding community for us all to enjoy, mob over to the Rep Portal and toss in your application! We are skaters looking to give back to the fellow skaters out there who have supported us along the way so sign up today to join the Push More Family and together lets build the community we desire to be a part of! Active Push More Rep as well as #TeamBustin Rider from Down Under Cameron Hancock recently hosted a radical race on a perfectly paved course. Check the quick video recap highlighting the skating and the rad time that was had by all who attended. Get out and host your own Push More Event as not only a great community building exercise but also as an excuse to get out and have the most fun with the homies! 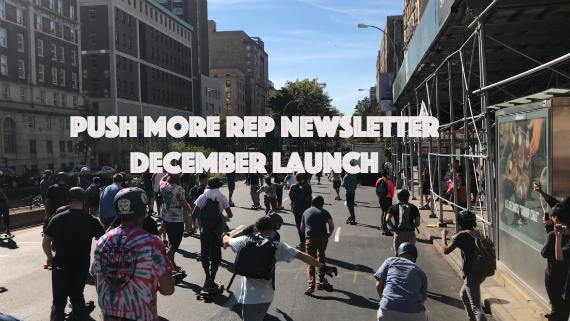 I just wanted to drop you a quick line and first off say good work last month and thank you so much for helping us launch a program meant to spread the stoke of skateboarding! We could not have done it without each of y’all and we are beyond amped to see where we can roll with this thing from here. Today is the first of the month in case you were not aware which means that all Bolts have reset, the prize wall has shifted slightly, and there are new and exciting ways for you to earn your bolts. Although there are a few small changes, the heart of the program remains the exact same: we want you to get out and ride your skateboard more and encourage others to do the same with you. We believe in the skateboarding community and desire to grow the active members within this circle that we are so blessed to call home. This month we want to keep the focus on spreading the stoke through getting out and living the Skate Life! 1. Skating Daily is the still the MAIN GOAL. Its easy and classy to share your pictures daily and reps have racked up tons of points with this simple act. 2. Building A Crew by sharing your unique URL is still the most lucrative way to earn points. Successful reps put their URL in the bio and share it often to reach the most people. Encouraging your recruits to become active Push More Reps will also maximize your Bolt accumulation. 3. 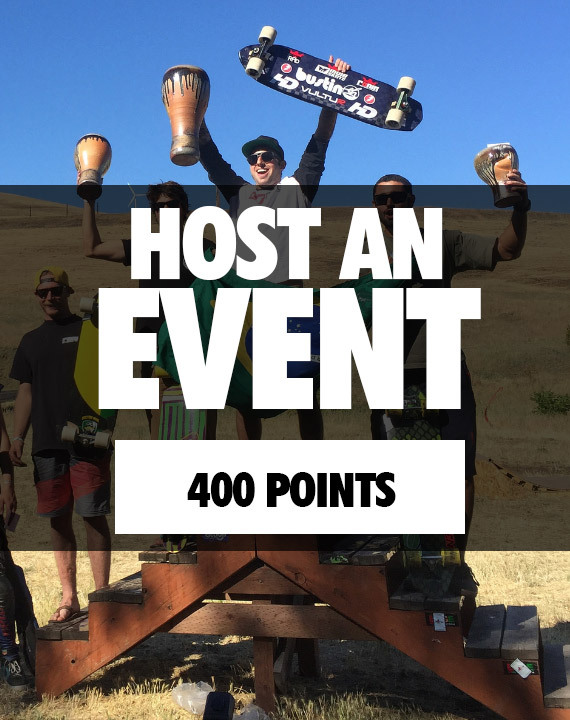 We’ve up’d the rewards for throwing EVENTS because this is literally where new skaters get plugged in and become life long shredders. Giving your local community members a place to come out and meet other skaters will strengthen your scene and encourage more group sessions in the future. We all know its better to skate with a homie so lets get out and create events to make this possible! 4. This month we’re making it easier to earn points by SHARING POSTS . 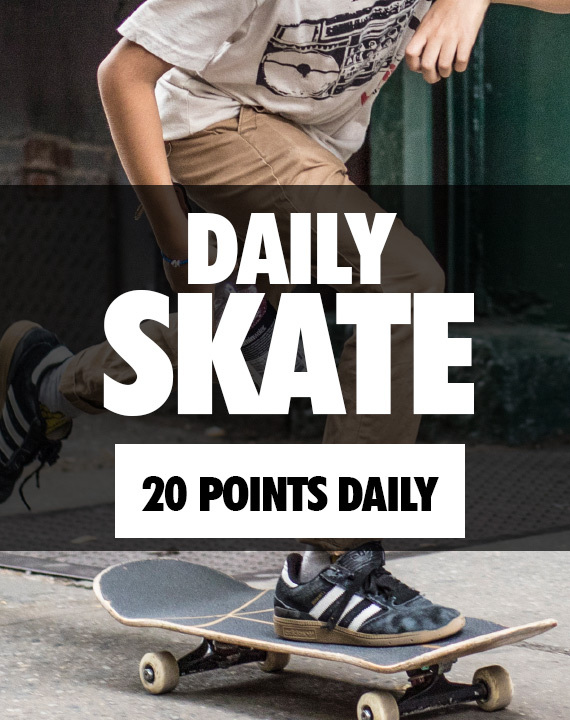 Be sure to check your email daily and score tons of points just by sharing. You’ll get specific points for sharing (depending on how many social networks you’ve signed up with) and more points as your friends Like, Comment and Click on your posts. AGAIN , you need to access these posts through the emails we send, so please MAKE SURE TO CHECK YOUR EMAIL. 5. LASTLY, many of you have asked about Points For Purchases at www.bustinboards.com . It took us a while, but we’ve figured it out. . Starting this month we’ll give you 200 BOLTS for every $100 purchased atwww.bustinboards.com OR from any authorized seller worldwide . Receipts must be official and may be validated if the shop, purchase date or details are unclear. Skateboarding is a lifestyle and an art that transcends all borders making it perfect for anyone and everyone who will give it a try. Remember this and also remember that you are in a position to become a leader who has something very radical to share with your community. We are here to help you any way we can so please do not hesitate to reach out with any question or concern you may have. Stay shreddy, and Keep Pushing Homies!!! Aloha Push More Fam! I hope all has been shreddy since the last time we checked in and that you have been able to log many hours on top of your board. The heart of this program is to help each of y’all get out and achieve the satisfaction that comes from simply skateboarding. We believe that all forms of skateboarding are equal and really want to encourage y’all to take an All Around approach to your skating so that you can be sure to receive the maximum joy throughout your progressions in various disciplines.
. From its conception, skateboarding was influenced by the moves being done out in the water on the energy pulses of the Pacific Ocean. When this frictionless sensation was translated to asphalt, it didn’t matter to our forefathers what size board they were riding or what surface they were expressing themselves on, they simply were trying to replicate the joy they found when they paddled out. By being open minded when searching for this specific sensation, they Skated Everything from pools to hills and did not consider what they were doing to be anything other than skateboarding. Jaap van der Sterren visiting the harbor during a recent visit to Bustin HQ. As the Push More Rep Program continues to grow and we get to know each of y’all better, its become apparent that many of you are interested in this as an opportunity to work toward becoming a trend setter and community builder in your local scene. We are firm believers that you can’t determine where you are heading without looking back on where you have been which is why we want to encourage each of you to look back to our roots as skaters and the values that these founding individuals stood for. “Skate Everything” is not a new concept but rather a historical perspective which we are looking to encourage the next generation to continue supporting and subscribing too. As we work together to build a bigger and better community, we would highly encourage you to follow in the foot steps set before us and indulge in a well balanced shred diet. Use the endless lines found at your local skate park as warm ups for your legs before heading to the hills to throw endless power skids. The skill sets gained in each discipline will transfer and add confidence as well as a stylish flair to your riding through a cross pollination effect. The most fun way to maintain the stoke is to keep your skating fresh daily by indulging in all forms of skateboarding which also will begin the networking process for you to become a community figure in all of your local scenes.